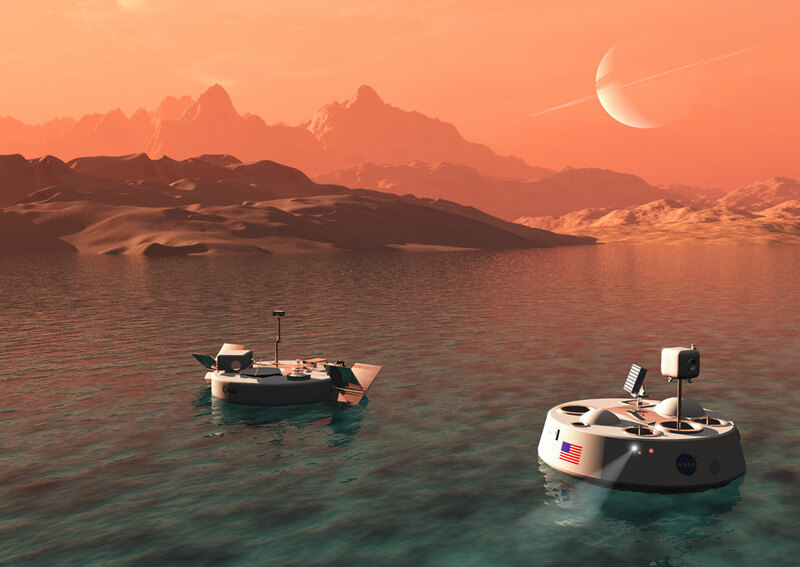 NASA and ESA both have proposals for landers - or more properly 'floaters' - on Saturns moon Titan. 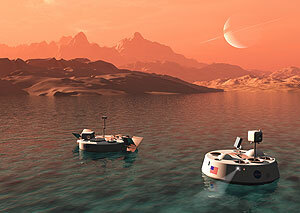 In this illustration we can see both: on the right is TiME (Titan Mare Explorer), the NASA scheme. The target for this probe was Ligeia Mare. The probe would not have its own propulsion, merely floating where the winds and currents took it. Image appeared in Issue 12 of magazine "All About Space".